Take what is known and juice it up. 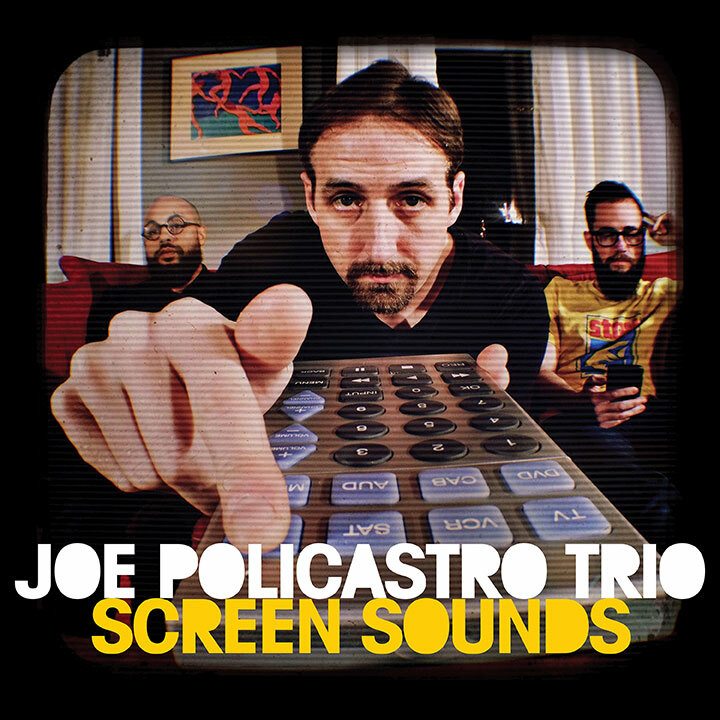 The Joe Policastro Trio revisits some themes from popular television series and movies on Screen Sounds (JeruJazz Records, 2017). The trio consists of Policastro, bass; Dave Miller, guitar; and Mikel Avery, drums. An ambitious taking, Policastro melds two hit songs from a hit movie in one of the coolest tracks in the set. “Everybody’s Talkin’ – Midnight Cowboy” moves back and forth between the two. One is a slow, easy listening ballad. The other is an upbeat, pop/folk tune. And the trio weaves in and out of each, changing the pace, and mood, as it suits them. Policastro leads the first melody, but gives way to Miller, who takes off, mixing familiar phrases from the two songs, with improvisation. The signature, descending four-step phrase from “Midnight Cowboy” is worked in and out of numerous passages. As the piece starts to wind down, Policastro uses the bow on his bass to take one more shot at “Everybody’s Talkin’” before handing it back over to Miller. The musical career of keyboardist Ray Bach began in 1989 with the album The Book Of Movie Scores, released in 1991 on the label IC / Digit. Soon followed his second album The Crossover (1992). When Ray asked me to assemble the songs for the compilation Lincoln Park – The Best Of Freeze Frame and to write the liner notes, I insisted to include songs from the beginning of his period of creation. My assumption Ray would pull copies of the early CDs, turned out to be wrong. Instead he studied the original Master tapes to eventually re-master these tapes. He went into his archive and found an astonishing amount of final mixes, demos, multi track tapes and discs with sequence data. 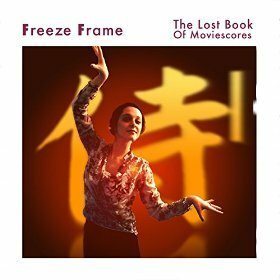 After carefully re-mastering the old tapes or new mixing the tracks, the result is The Lost Book Of Moviescores (2016). Instrumental, new age, film music, ambient music and no jazz at all. Enter The Wave has the freshness of his early years. Ray has developed his unique identity working out the special power of synthesizer. The Goonies is a fun, charming theatrical romp about a group of kids seeking buried treasure in the United States’ Pacific Northwest, all the while pursued by a murderous family. “Fratelli Chase” revisits the film’s opening sequence and is also a poignant first track to An Evening With Dave Grusin (Heads Up International, 2011), a live concert of symphony and jazz by one of the most widely recognized composers of both genres. Throughout his career, Grusin has scored themes to numerous motion pictures and television series, including The Graduate, On Golden Pond, Tootsie, St. Elsewhere and It Takes a Thief. This groundbreaking live recording captures the pianist, composer and arranger with a host of stars and the 75-piece Henry Mancini Institute Orchestra, recorded in December 2009 at the Adrienne Arsht Center in Miami. The idea was to do a concert featuring songs recorded by Grusin over the years. Longtime associate and producer Larry Rosen helped narrow the list down to a few by Grusin’s favorite composers and some of his own tunes. Those favorites are Leonard Bernstein, George Gerswhin and Henry Mancini. GRP-co-founder Dave Grusin is certainly one of the top five jazz pianists worldwide. More popular are however his scores for films and television. He was awarded with an Oscar for best original score for The Milagro Beanfield War, as well received Oscar nominations for The Champ, The Fabulous Baker Boys, The Firm, Havana, Heaven Can Wait, and On Golden Pond. Other film scores he has composed include Tootsie, Where Were You When the Lights Went Out?, Three Days of the Condor, The Goonies, Tequila Sunrise, Hope Floats, Random Hearts, and The Heart is a Lonely Hunter. 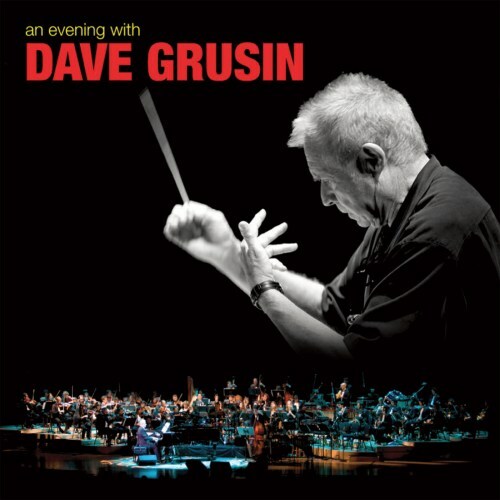 In December 2009 Dave Grusin celebrated a breathtaking event at the Adrienne Arsht Center in Miami, Florida, An Evening With Dave Grusin. Backed by the 75-piece Henry Mancini Institute Orchestra Grusin performed a collection of 12 songs by Grusin, Leonard Bernstein, George Gershwin and Henry Mancini. Guest musicians were Jon Secada, Patti Austin, Monica Mancini, Gary Burton, Arturo Sandoval, Nestor Torres and Sammy Figueroa. This remarkable event was recorded and will be simultaneously available on CD, Blu-ray Disc and ROBA iPadApp on Heads Up International, a division of Concord Music Group, April 26, 2011. The CD opens with Fratelli Chase, the most popular main theme of the Goonies. Grusin and the London Symphony Orchestra had re-recorded this piece for the album Cinemagic, so this version is the third installment. Certainly the most powerful with the support of a 75-piece orchestra.